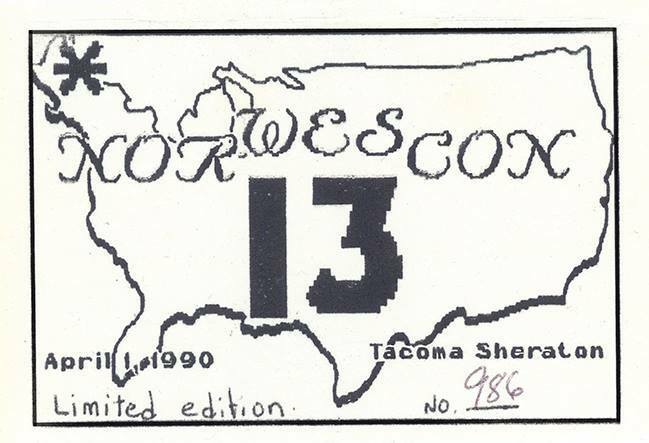 100 Norwescon 13 badges were handed out on the last day of Norwescon 12 (April 1st, 1990…yes, April Fools' Day). This was a con in-joke, as in order to correct the numbering after Alternacon, which fell between Norwescons 9 and 10 (and possibly to bow to superstition), we did not have a Norwescon 13, and proceeded directly from Norwescon 12 to Norwescon 14. 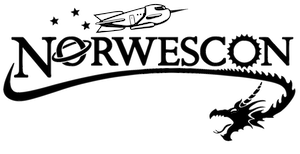 “Norwescon 13 Badge,” Norwescon History, accessed April 19, 2019, http://history.norwescon.org/items/show/231.